Michael Mosley and the team of doctors are in Lancaster to test if trees could help solve the hidden health threat of air pollution. The series that cuts through the confusing adverts, headlines and health advice to provide information you need to live healthily. 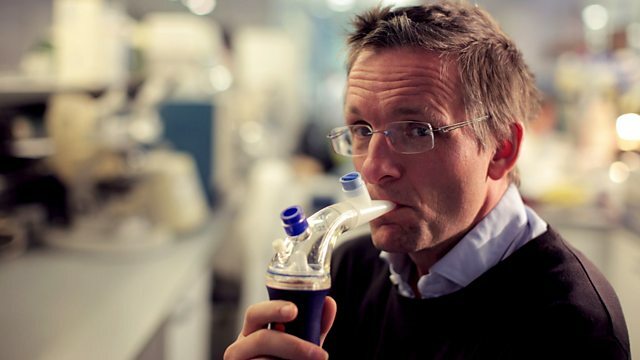 Michael Mosley and the team of doctors are in Lancaster to test if trees could be the answer to a hidden health threat that kills 29,000 people a year - air pollution. The team also finds out the answers to many health questions. Is there a cure for hay fever? Are smoothies good for you? Is coffee bad for you? Will Probiotic yoghurts keep you healthy? And should more people be taking HRT? Also in this episode, Gabriel Weston is tracking down a novel cure to migraines that been found in a beauty clinic and Saleyha Ahsan is on a mission to teach us all how to revive a drowning casualty. Composer: Tim Reilly. Composer: Jeff Dale. Composer: Duncan Pittock. Composer: Ellie Kidd. Composer: Jeff Dale. Composer: Ben Ziapour. Composer: Jason Pedder. We want to give you the information you need about all sorts of health issues, so on this website you will find more about every issue that we cover in the series. Find out more about our four presenters: Michael Mosley, Miss Gabriel Weston, Dr Chris van Tulleken and Dr Saleyha Ahsan. A&E doctor Saleyha Ahsan's step-by-step guides for what to do in medical emergencies.